German Chancellor Angela Merkel and French President Emmanuel Macron will heap pressure on Taoiseach Leo Varadkar over plans for a no-deal Brexit border in crunch talks next week. Renewed chaos broke out after Westminster once again rejected British Prime Minister Theresa May’s Withdrawal Agreement with the EU. The move prompted the European Commission to say it is now “fully prepared” for a “likely” no-deal scenario on April 12. European Council President Donald Tusk immediately moved to call an emergency EU summit two days before the new cliff-edge Brexit date of April 12. The Opposition wants Mr Varadkar to use his meetings with the two EU heavy-hitters to seek assurances on the Border amid mounting fears of a crash-out Brexit. Mr Varadkar’s meeting with Ms Merkel comes after she demanded at the recent EU summit more clarity on how the Border question will be dealt with and on what plans were in place. 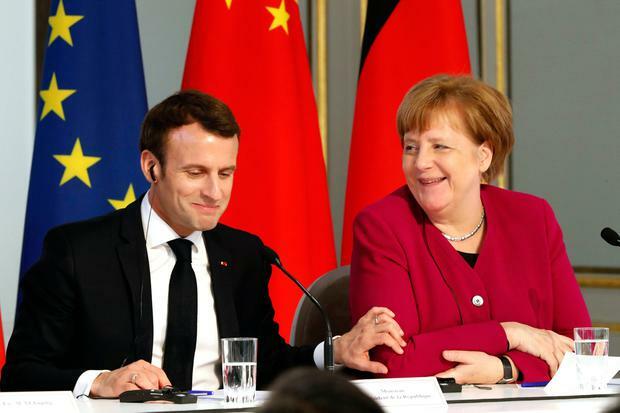 A senior Government source last night conceded that both Ms Merkel and Mr Macron will want assurances on protecting the integrity of the single market. The source said that the German and French leaders were likely to use their meetings with the Taoiseach to “exchange views on what we do if UK doesn’t ratify”. “I am sure they’ll want assurances from us about protecting the integrity of the single market,” the source added. However, they insisted there would be no discussion on reopening the Withdrawal Agreement. Another source said both meetings will be “serious” and there will be discussions on all possible Brexit outcomes, including a no-deal scenario. They insisted it was “extremely positive” that the meetings were taking place “at such a critical juncture”. The Taoiseach will travel to Paris on Tuesday for a meeting with the French president and will meet with the German chancellor two days later. Officials in Berlin refused to be drawn on Ms Merkel’s position on the measures the Irish Government will have to take to protect the single market. A source said she was visiting Dublin next Thursday due to Ireland’s importance in the Brexit process. 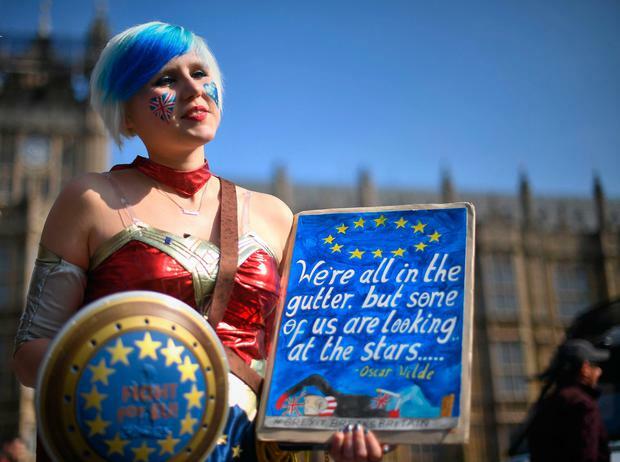 They pointed out that she had “always said that Brexit without a deal is in no one’s interest”, and added: “this position is still the same”. Ms Merkel is understood to have raised the Border issue at the recent EU summit meeting. Mr Varadkar later denied it amounted to pressure on the issue but also said that “hard questions are asked and answered at European Council meetings”. Last night, Fianna Fáil’s Brexit spokesperson Lisa Chambers said: “It’s clear that there’s pressure now to start planning for the impact of a no-deal Brexit.” She cited reports in recent days outlining how the EU will be required to immediately apply its rules and tariffs at borders with the UK if there’s no deal. EU officials have said controls will have to be carried out on the island of Ireland, while suggesting it may not involve physical infrastructure and checks could potentially take place away from the Border. The Government here has accepted that there will be “difficult discussions” with the European Commission if there is a no-deal Brexit. She said: “Businesses need to know, farmers need to know, citizens that travel across the Border every single day, they need to know”. Labour leader Brendan Howlin said that Mr Varadkar should make it “crystal clear” to Ms Merkel and Mr Macron that there can be “no future EU-UK trade deal that does not guarantee an open Border on the island of Ireland”. In the wake of the latest humiliating Commons defeat of her Brexit deal, Mrs May said the UK would have to find “an alternative way forward”. She said this was “almost certain” to result in a delay to Brexit and the UK having to stage elections to the European Parliament in May. Mr Varadkar said a no-deal Brexit was a “growing possibility” and it’s up to the UK to say how it will avoid it. He said it’s not clear that the UK “has fully understood that no deal is not off the agenda”. He said the EU should be open to a long extension should the UK reconsider its approach.